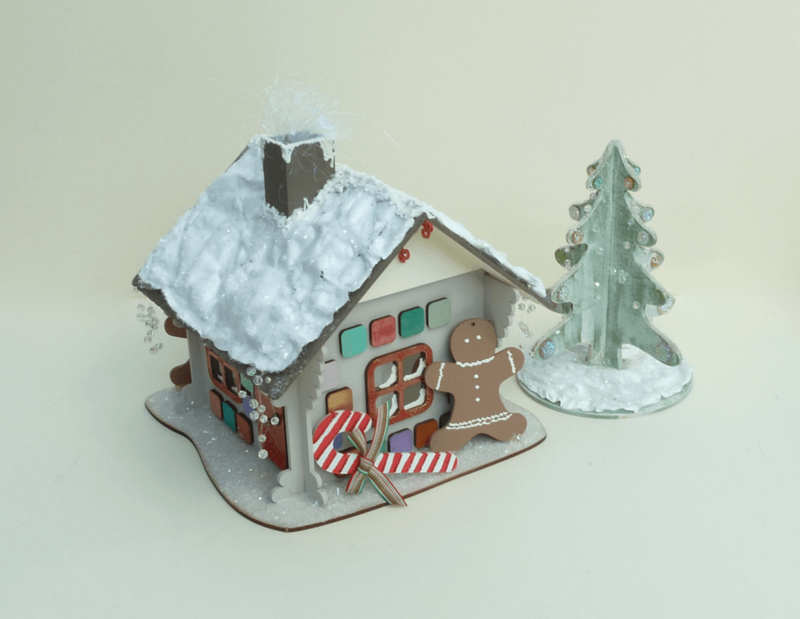 Christmas wouldn't be complete without a Gingerbread House. 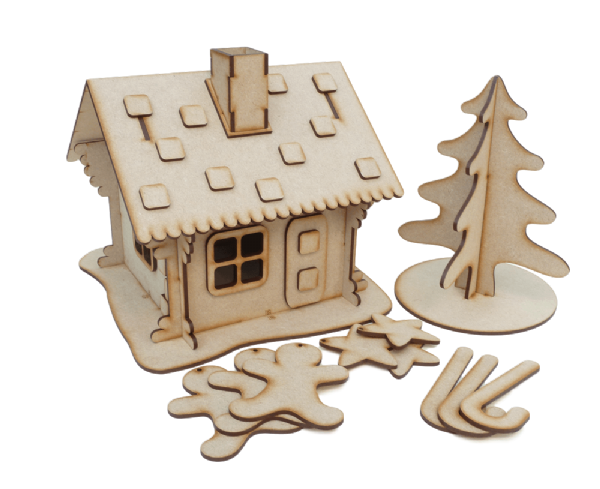 Made from 3mm Mdf and so easy to assemble it will make a great centre piece for any dinning room table on Christmas Day. 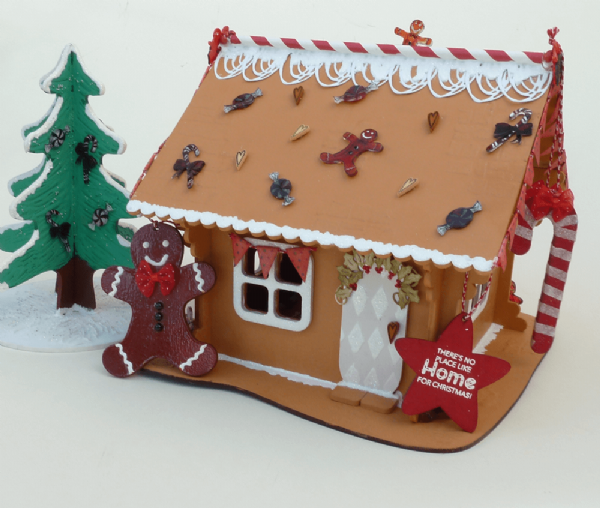 The roof is designed to be removed, using the chimney as the handle, to reveal ample room for holding those Xmas treats or mini gifts. You'll have so much fun with the decorating - keep it traditional or be more adventurous ! The kit comes flat pack and includes the Xmas Tree, Window Frames, Door and 'Tots' and 3 each of the Gingerbread Men, Star and Candy Cane.